Welcome back to Cairokee Empire! Egypt’s mega-successful band invites you to the second edition of its unforgettable concert, this time @Al Manara international convention center. You are invited to Cairokee’s Longest concert ever, where you will enjoy the band’s famous songs in a dazzling setting on an unparalleled scale, a homage well-deserved to its loyal fans. 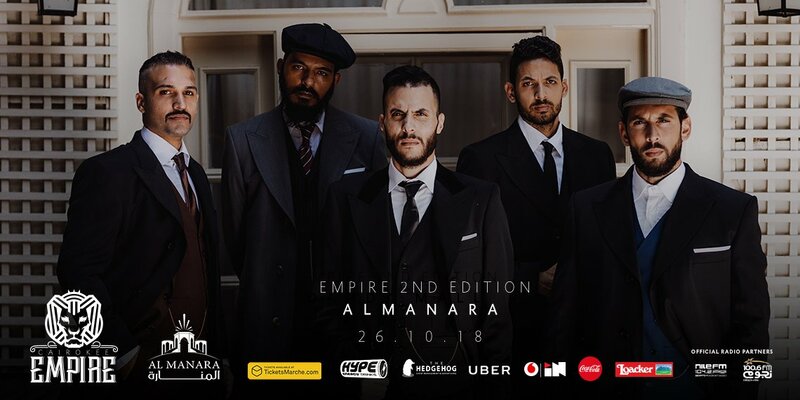 This historic concert is the second of a planned self-organized series of concerts that Cairokee is giving over the upcoming period; further cementing their reputation as game-changers of Egypt’s music scene. These guys are here to make you rock all night long. So Get Ready!